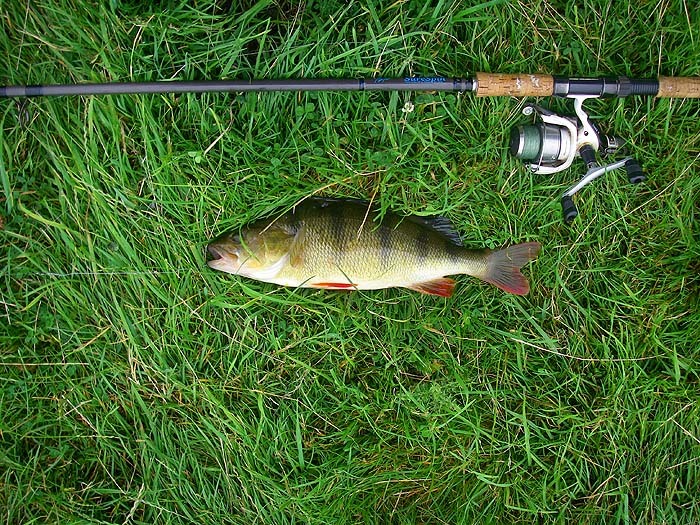 Following my last session with so many perch on the bibless minnow lure I decided to see whether I could catch a bigger specimen. This morning I armed myself with half a dozen small dace and using my spinning rod with a light paternoster rig and a small circle hook to 15lb knottable wire I began to fish. 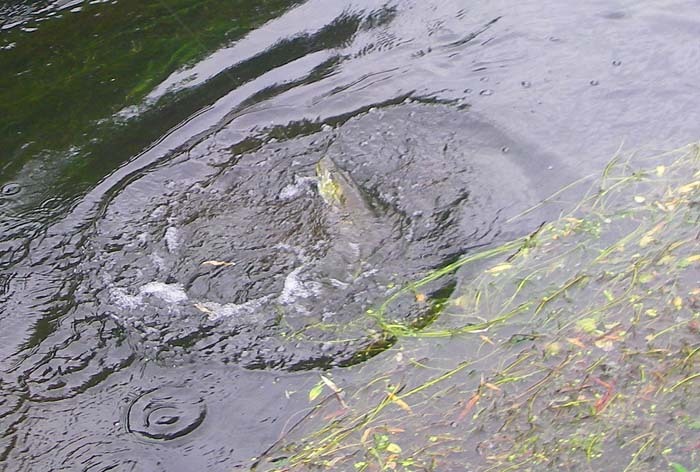 The first bait had been in the water no more than ten seconds when a pike shot out from a drifting raft of Ranunculus weed and grabbed it. I tightened and it was on - thank heavens for soft wire traces. I was on a high bit of bank so after playing the pike for a while I decided to clamber down and unhook the fish as it lay in the margin. Good start! 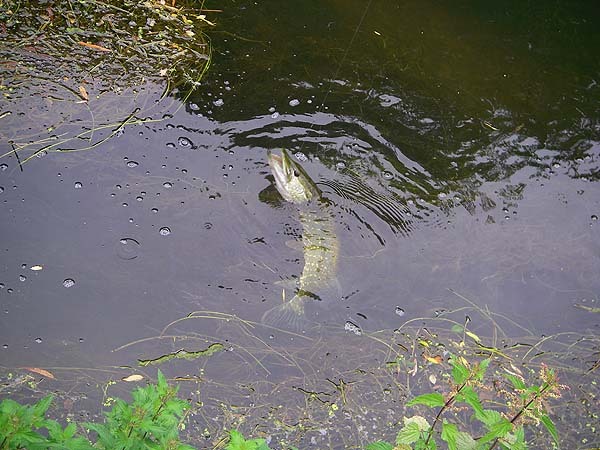 I attached another bait and walked on downstream until I came to a spot with about two metres depth under a large clump of overhanging grass. I lowered the dace into the hole and again, within a few seconds, the line tightened and I felt a heavy weight. 'Another pike!' I thought but no, out sailed a magnificent perch already well hooked in the lower jaw. I played the perch and lifted it onto the wet grass for a picture before sliding it quickly back. I fished on for another hour or so, trying a number of very perchy looking spots but - nothing! That's fishing.